It's no secret that the marketing industry has been shifting from "data-based" solutions to "identity-based" ones, but a new report published Thursday by the Association of National Advertisers indicates that it is expanding at a rapid clip. 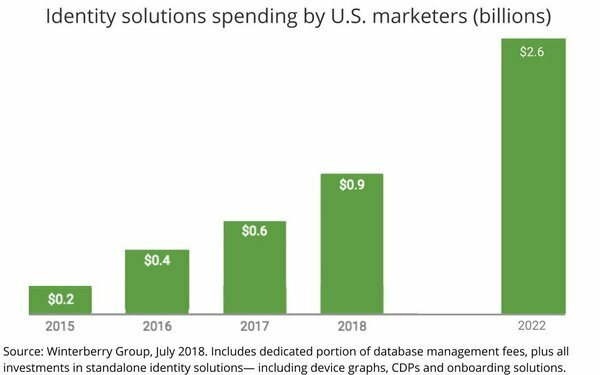 The report, which was developed by the DMA (recently acquired by the ANA) and The Winterberry Group, projects that identity solutions spending by U.S. marketers will expand form just under $1 billion this year to $2.6 billion by 2022. The report, which defines identity-based marketing as "the effort to recognize and understand individual audience members (including customers, prospects and other visitors) across channels and devices such that brands can interact with those individuals in ways that are relevant, meaningful and supportive of overarching business objectives," finds that the capability among U.S. organizations is mixed at best. 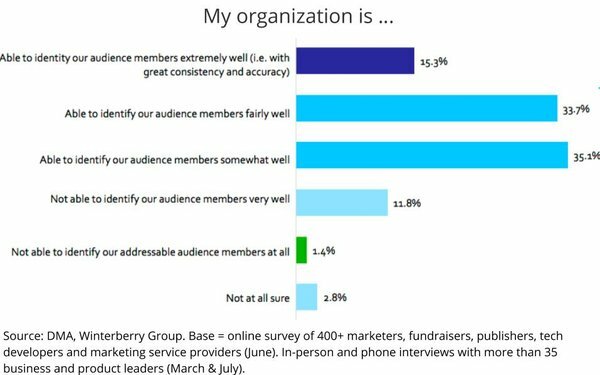 Only about 15% of respondents to the study said they are actually able to identity their target audiences "extremely well," while nearly 34% said they could do so "fairly well."